inSite issues a FREE basic financial literacy article for interested clients on a monthly basis. 2019 National Budget – How does it affect you? How are you affected by the national budget? What’s going up and what’s coming down? New regulations that aim to improve your financial outcome at retirement. Have you considered tax-free savings? A tax-free savings account can supplement your existing retirement plan. 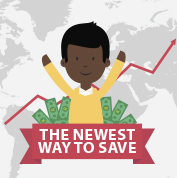 Learn how you can save more! Compounding can be a very powerful tool to create wealth over time. All you need is some patience and discipline and compound interest will do the rest. If your new year’s savings resolutions did not go as planned, fear not. You can try again with the following 5 simple and attainable goals. It’s all about having a positive frame of mind! It's Spring! Time to adjust your lifestyle habits and save more! This is the season to review and refresh your monthly spending habits that may be hurting your pocket and health. See how much more you can save with these small adjustments. Find out more about the importance of having a Will and what its legal implications are. During National Wills week, you can get a free Will from an attorney. Don't miss out! How divorce can affect your retirement benefits. Divorce is never easy, but there are ways to make the process as smooth as possible. Spice up your budget planning. Discover tips on how to manage your budget better. Help kids to be Money Smart. Help your child understand the value of money through allowances. Pay less tax and allow the power of compound interest to grow your money. How does South Africa's budget affect yours? Finance Minister Malusi Gigaba delivered a message of restoration in his 2018 budget speech. Here’s a brief summary of how ordinary South Africans will be affected. Have you set your financial goals for 2018? Whether you’ve set your financial goals or not, here are three easy but meaningful ways for you to enhance your financial future. How are you affected? What should you do or not do? Find out in our first article for 2018. By changing just one aspect of your lifestyle each month, how much can YOU save for the best December ever? Thinking about retirement can be overwhelming at times, especially when it comes to picking an annuity (pension) that is right for you. We take a look at the things you need to consider. One’s first payday marks the first day towards becoming a financially independent adult. Here are four ‘getting real’ tips new employees need to consider while holding that payslip. People are living longer. And while this can be a gift, it does pose some risks when it comes to saving enough for retirement. It is time to give yourself a money check-up, create a mid-year budget, and make some necessary financial adjustments. Early withdrawal from your retirement fund might sound tempting, but here is how it could cost you. South Africa has been downgraded. How should you react? Find out what to do, and what NOT to do, in our latest helpful article. How are you affected by SA's budget? Finance Minister Pravin Gordhan delivered a hard-hitting message to all South Africans in his 2017 budget speech, warning of tough financial times ahead. We have a look at some of the announcements. The world is an expensive place to live in, and raising a child makes managing your money even harder. We’ve listed some advice for keeping your budget in line while still enjoying life with your kids. What would you do if you lost your job? There are ways to make sure that you and your family don’t suffer financially. 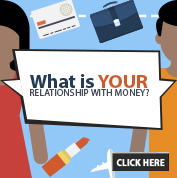 We share some ideas on how you can have multiple incomes. Create your own certainties in life by keeping your Will updated. Find out what you need to know. How to set financial goals and strive for your own Olympic gold medal. Drop, cover and hold on. Your Brexit safety guide. How to keep your money safe until the Brexit dust settles. Time to set your half-year savings resolutions! We’re halfway through the year, but are you halfway to your 2016 savings goals? Manage your money. Look forward to your future! How to get into the habit of planning ahead and making sure that your financial future is sweet. Junk status? What does it mean? We've been hearing a lot about South Africa's credit rating– but do you know what it really means? Here's a simple summary of what goes up, what goes down, and what stays the same. It helps to be aware of your personal strengths and weaknesses when deciding on an investment strategy. They do bounce back eventually, so think long term and you will breathe easier. Make the right decision with your hard-earned savings! There are a number of good reasons for keeping your savings intact no matter what. What should you do to make sure you're ready for retirement? Find out here. Tax directives at withdrawal are not reversible! Find out what this means, and what you need to do about it. So don't take chances with your finances! Here's how to make sure you select a reliable advisor. It doesn't have to be hard to secure your future. 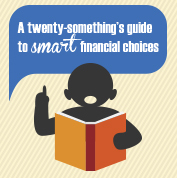 There are a few simple tips you can follow to free up your finances. Don't get bitten by a loan shark! The long-term misery is NOT worth the short-term reward of quick and shady loans. Find out how much you spend if you buy on credit: How much will that item really cost? The new tax-free savings accounts are a great way to supplement your retirement savings. Find out more about how they work in this article. 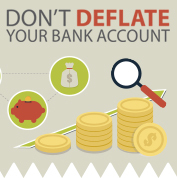 Don't deflate your bank account! If you do have debt that you’re worried about, there are ways to keep it in check, and eventually get rid of it completely. Find out more in our last article for 2014. Some things will be changing and some things are going to stay the same for a while yet. Find out what's what in our latest article. It was amazing enough to impress Einstein… imagine what it can do for you! Find out how compound interest works – and how to make it work for you. The third and final of our articles for prospective home-owners deals with the extra costs that may trip you up when you settle on a place to buy. Be informed and avoid nasty surprises. What a wonderful day when we are finally debt free! And with careful planning, that day might be sooner than you think. We all want to live in a place that makes us happy. Sometimes, renting can seem like a more comfortable option… but what are the disadvantages? Read our latest article to find out whether you should reconsider your decision and if so, what you need to be aware of. Trying to time the market is ineffective at best, and usually very risky. Find out how to manage your investments in our latest article. aimed at reforming the retirement industry. These changes will impact all members from 1 March 2015. How does the annual budget affect you? Fortunately, it's not all bad news this year. Find out how you will need to readjust your personal finances in light of South Africa's newest budget. Interest rate up? Don’t let it get you down! On the 29 January 2014, South African Reserve Bank governor, Gill Marcus, announced that the interest rate would be increasing by 0.5%. What should you be doing to counteract the effects? It’s January and many of us are feeling the pinch as 2014 begins. If you are a parent and your children are heading back to school, there are lots of ways to make this month a little easier on your pocket. inSite is keeping up with the times by expanding our presence on social media! 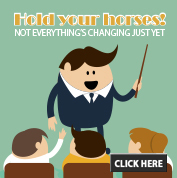 Take your meetings online. Save Time. Impress Clients. Offline version available. We are always looking for fresh ideas to create powerful messages.